Apartment Il Feudo is one of five apartments that are in Castle Giuliopoli. There is a swimming pool with sun beds and sun umbrellas, a lovely garden "Il Giardino dei Leoni" and a restaurant where you can enjoy typical regional dishes. 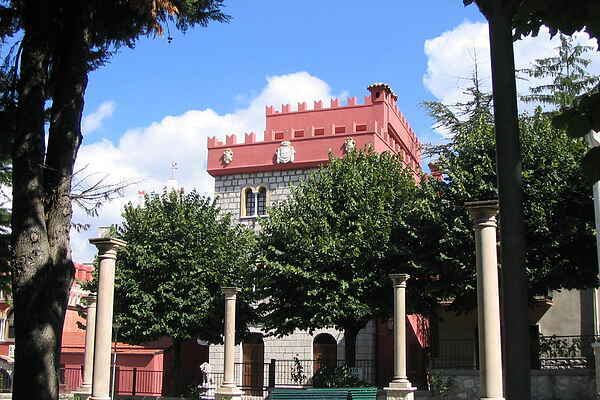 The castle is located in Giuliopoli Abruzzo at 730meter above sea level. From the terraces you have a beautiful view of the Majella Park and Lake Bomba. From Giuliopoli there are many excursion options, see tips of the homeowner.